The strength of an Exchange Traded Fund lies its simplicity, right?. By simply following the index you'll know one thing for sure: you'll never beat it. But that also means that many actively managed mutual funds don't beat them either and actually are not worth investing in, but as the saying goes: if you can't beat them, join them. 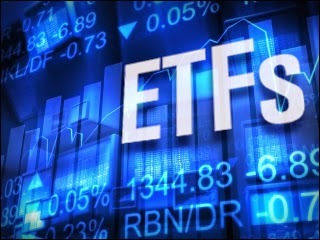 The first ETF was introduced on January 22, 1993. State Street launched the SPDR S&P 500 ETF. The portfolio consisted simply of the 500 companies of the S&P 500 index and was calculated the same way as the Index itself, and is a physical replication of the underlying index (which is called 'full replication' in trader's lingo). Simple, transparent, and cheap too!, because the ETF calculates a rate of only 0.0945% as a result of an ongoing price war in the ETF markets. You'd pay ten times the amount if you would trade an equity fund (about 1%). A lot has changed in the world of ETFs since then. Total assets under management in ETFs has increased to $2600 billion, spread over about 4,000 ETFs. Especially in the United States there has been a strong growth. In Europe, the ETF train is starting to get going as well. But what is it that you probably don't know about ETFs and SHOULD? ETFs are easy and straightforward? Due to the increase of the number of ETFs also the number of providers increased. 'Simple, transparent and inexpensive' are all features that can no longer be tied to all ETFs. Nowadays traders can not only buy ETFs on broad indices but also on (sometimes too) concentrated sectors or theme's, even if it's not really clear what the ETF trades in. Transparency does not always go well for an investor who has less experience in investing and simply wants to buy an ETF that follows a particular index. An investor who wants to invest in the emerging markets can buy the db x-Tracker MSCI BRIC, which invests in stocks from Brazil, Russia, India and China. At least,... that's what you would expect is it not? However, if you take a closer look at the concerning portfolio you'll see that 20% is invested in bonds, and that Sweden, Australia and the United States form the top three countries in that portfolio. Doesn't that seem odd? The index that it tracks invests only in stocks and really has 41% of China, 26% of Brazil, 16% of India and 11% in Russia. What is going on here?? It's because the db x-tracker MSCI BRIC is actually not a physical (traditional) ETF but a synthetic ETF. This means that the return of the ETF does not come from the underlying portfolio as is the case with its physical replica counterpart. The synthetic ETF guarantees a Swap contract with an investment bank (the return on the tracked index) that's exchanged (swapped) with the return on the underlying portfolio of the ETF. Well, that is easy and transparent isn't it! Although fundamentally there's not much going on, as an investor you do run the extra risk. The counter party does have to keep its promise. All these structures also have their advantages. Swaps make it easier to gain exposure to illiquid markets and synthetic ETFs are less costly and therefore the tracking error and tracking difference are lower than physical ETFs, which means that these ETFs are better able to track the underlying index. Not to mention the 'new inventions' such as leveraged ETFs. These ETFs give you a leverage of 2 or 3 on the underlying index. If the underlying index increases by 10% in a year, your leveraged ETF of 2 increases with 20%. Yeah right. The leverage is guaranteed on a daily basis, which means that the return of the ETF over a longer period has no longer the leverage that's on the product (especially if there's high volatility in the markets), see the calculation example below for WTI oil, where the total return of the underlying index is 0% over the entire period but -1.06% for the corresponding ETF. Nice all those derivatives, but it becomes more complex and it definitely lacks transparency. Those fees... you can't go around that. ETFs are indeed way cheaper than mutual funds, but there are still are some pitfalls. True, the traditional, focused on broad indices ETFs are cheap. But the more specialized the ETF, and the more bells and whistles it has, the more expensive it will be. For instance, Boost Copper 3x Leverage Daily ETF charges a 0.99% fee. Oh, and there's something else too (did you think I was done?). Investment funds are traded at net asset value, while ETF are publicly traded thus traded the same way as stocks. This means that there is a bid/ask spread of course as well, which is an extra cost factor for ETF traders. The size of the spread depends on the liquidity of the underlying index and the ETF itself. ETFs for US stocks the average spread is 0.25%, but raw materials has already an average of 0.79%. ETFs are cheap that's true, but not all of them. 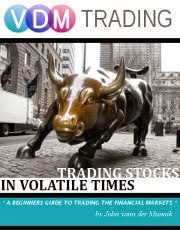 All of these examples show that the simplicity of the ETF product is under heavy pressure in the industry. Innovation seems to go hand in hand with complexity, and the question that I have is to what extend these products are launched in the interest of traders? What's wrong with the old, simple, transparent ETF just like it was introduced in 1993? Developments in the market ensure that investors should do their homework well before they buy into an ETF, so they know how the product works, what exactly it invests in and what the risks are. Just like with the purchase of actively managed mutual funds.